季静, 曹源, 李伟琛, 等. 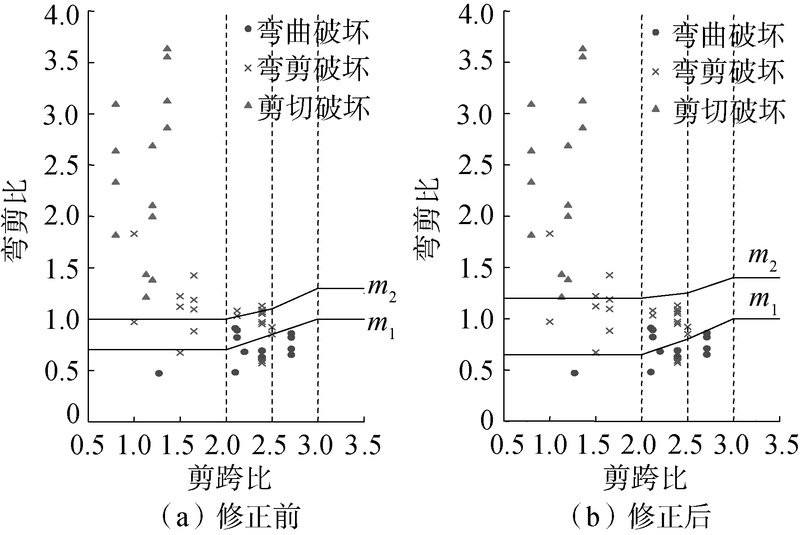 工字形截面RC剪力墙变形指标限值研究[J]. 哈尔滨工程大学学报, 2019, 40(2), 285-291. DOI: 10.11990/jheu.201709027. JI Jing, CAO Yuan, LI Weichen, et al. Research on performance level and limits of I-section RC shear walls[J]. 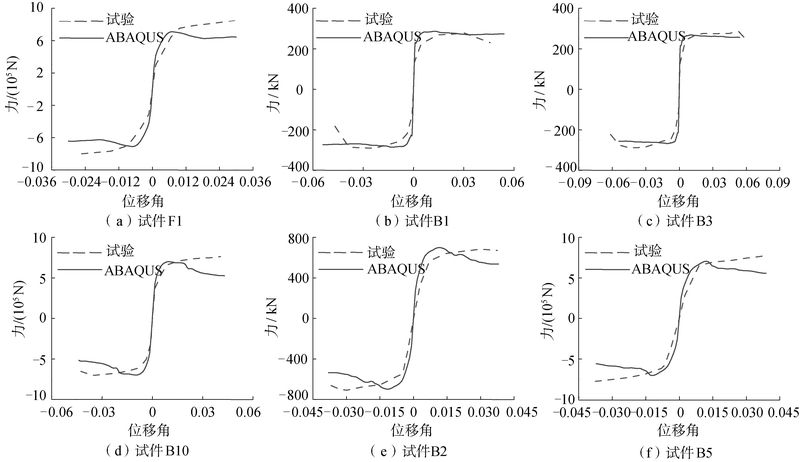 Journal of Harbin Engineering University, 2019, 40(2), 285-291. DOI: 10.11990/jheu.201709027. Abstract: A total of 324 I-section RC shear wall specimens are designed and numerically simulated by ABAQUS to study the seismic deformation ability of I-section RC shear walls and establish the classification criteria of failure modes based on parameters of shear-span-to-depth ratio and moment-shear ratio. 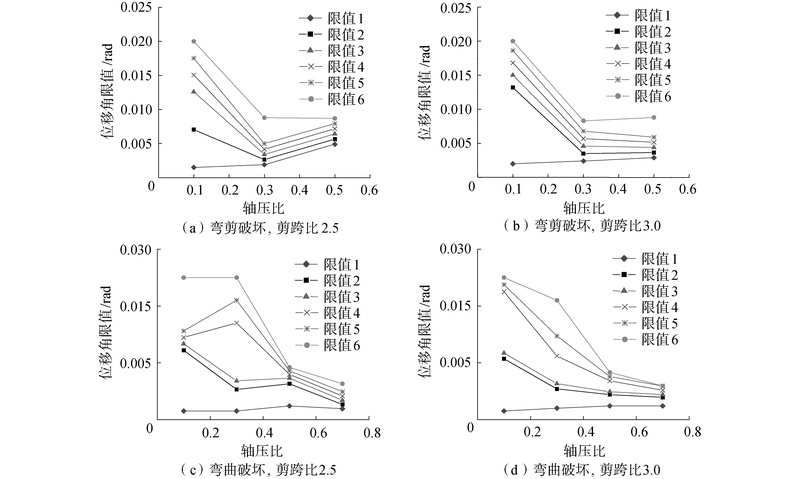 According to Chinese codes, seven performance states and six performance limits are proposed. The method to define these limits is provided on the basis of strain of concrete and reinforcement and the force displacement curve through which the displacement angles of all models can be determined. 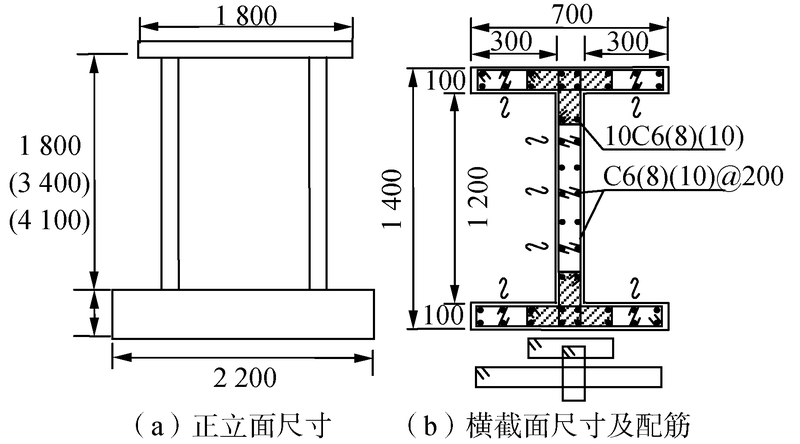 Then, deformation limits of the I-section RC shear walls are obtained and compared with the ASCE41 index by considering parameters such as failure mode, axial load ratio, and moment-shear ratio. Analysis results show that the accuracy of the proposed criteria of failure modes is 85%, which meets engineering requirements. 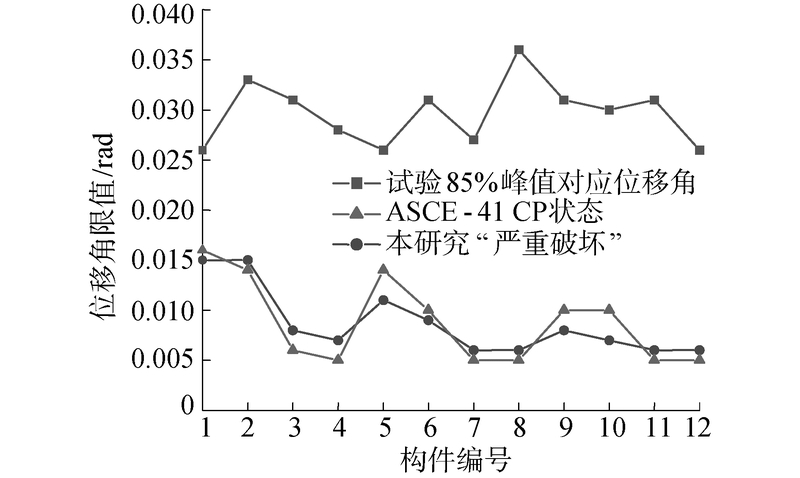 The result of the test members based on the proposed deformation limits is basically the same as that of ASCE 41. The displacement angle of the "serious damage" determined by the experiment is approximately three times more than the result obtained through the proposed deformation limits, and the proposed limits have sufficient safety reserve. 季静, 肖启艳, 黄超, 等. 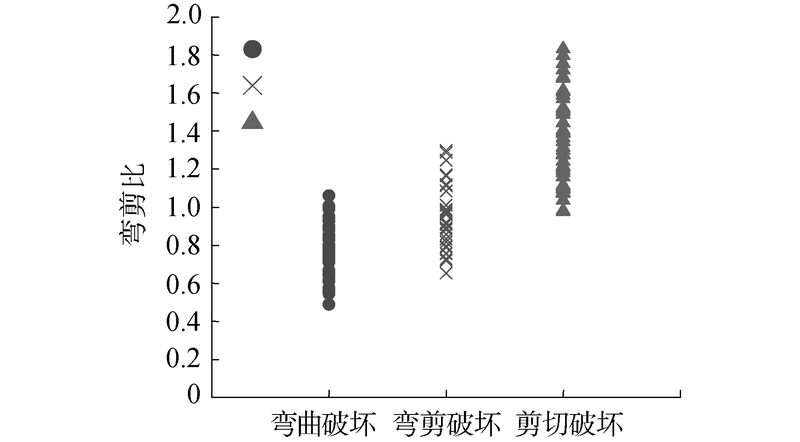 基于性能的钢筋混凝土剪力墙受弯破坏变形限值的研究[J]. 建筑结构学报, 2010, 31(9): 35-41. 梁兴文, 杨鹏辉, 崔晓玲, 等. 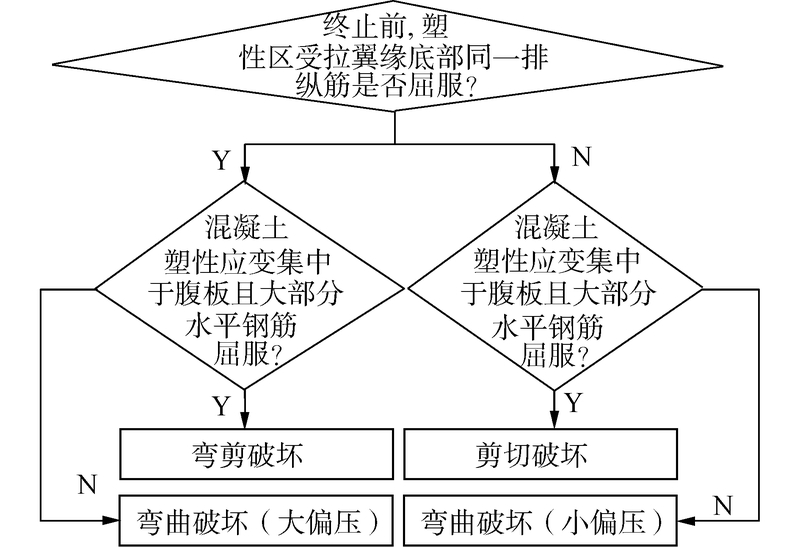 带端柱高强混凝土剪力墙抗震性能试验研究[J]. 建筑结构学报, 2010, 31(1): 24-32. 方小丹, 李照林, 韦宏, 等. 高配筋率边缘约束构件高强混凝土剪力墙抗震性能试验研究[J]. 建筑结构学报, 2011, 32(12): 145-153.